Why Pinterest should be of Interest to YOU ! Do you love, love, passionately love Pinterest? If you need inspiration or if you are a blogger you should absolutely want to french kiss Pinterest all the live long day. Wait a sec. Have you been living under a rock and not joined Pinterest yet? Karen has a faboosh post about how to join Pinterest. Get going on that, GoGo Gadget. Do you want to take your Pinterest relationship to a whole new level of lusciousness? If you are a Pinterest go-getter, you will know that there is abso-tootly-nothing more frustrating than clicking on a photo and it leads to nowhere. The more photos you have on pinterest, the more you increase your chances of click throughs to your site. Basically, the more you shower love on Pinterest, the more it loves you back. I wish I may, I wish I might… get all my photos in Pinterest tonight. I spend less than 5 minutes a day on pinterest. Negative 5 minutes on some days. Yet Pinterest drives 75 % of social media traffic to my site. That makes me want to take a big gulp of Pinterest and swish it around in my mouth. Pinterest is traffic candy. It’s a calorie free candy store. Let’s pull back the curtains on Pinterest, shall we? This pinterest tutorial is like a mini-skirt ~ short enough to be interesting, but long enough to cover the subject. You will want to know this hawt-diggity-dawg trick. Why oh why?? 1. It will help bring Pinterest readers to your blog. 2. It will showcase your photos. 3. You will gain more Pinterest followers. 4. You can drive targeted traffic back to your own site. 5. You will feel less frustrated. Links will lead exactly where they need to go. Exactly. So there. What the what what ? Whaaaa?? Is it really that easy? Yes. I pinky swear promise. This trick is so easy and yet it makes a HUGE difference. You will want to grow a third leg so you can kick yourself with it, wondering why you didn’t do it before now. 2014 is your year. You’re going to become a Pinterest black belt. I’m going to hold your hand and whisper sweet nothings in your ear to help you. Feeling the hawt steamy whisper in your ear? No. I’m not going to lick your ear. Ewwwh. Get obsessed with this little secret. Work it. But not on weekends. No one should work on weekends. Have you ever clicked on a photo in Pinterest, hoping to go the the site source and it linked to a nowhere-ville ? Doesn’t the whole frustrating shenanigans make you want to make a face like this –> &^%$!! For the love of Pete, there is a simple solution to this problem. 2) You will want to kiss me. PS. Unless your name is Channing Tatum, you are not allowed to kiss me. Let’s get this pinny partaaay started. I can’t believe I just said pinny party. Blah. Someone punch me. Put on your Pinterest paper crown. Slap on a gold star. This is going to be good. 1. Do you have photos, but you don’t want to do a whole shebang of a blog post in order to post them online? You don’t have photos? Oh.My.Word. Get over to my bloggy and learn how to create photos the easy way … for FREE. Fahhree. Get this free downloadable book full of insider secrets to kickass photo apps. 2. Sign into your Pinterest and click the + button to upload a pin. This trick gets better. Not only will you be able to upload your photo, but you will also be able to link it back to your site. Upload photos from your instagram, photo albums, from everywhere and there is no need to write a blog post! The photo will link to your site or blog post without having to spend a week making a bloggy post. You can drive Pinterest traffic to your site, all the live long day. Brills. Woot woot !!! You will feel like a Queen, worthy of a paper Pinterest crown. Pinterest = Blog Traffic <— I screamed that. 5. Want the good news and the bad news? The good news is that you just uploaded a photo. The bad news is that most people end up sharing it into the land of never-never-no-where-ville. Oh la la. Don’t go there. That’s where Pinterest happiness goes to die. 6. Here is where everyone most people mess up : the source link. This is the part of the tip that is super duper supercalifragilisticexpialidocious important ! Note to self : 80 % of pins are repins. That can be a disaster waiting to happen if your photo is linked to absolutely nowhere. You are essentially giving away traffic by not linking your photos properly. The horrors. Be sure that your photo is linked properly to you.you.you. You can’t drive traffic back to your site without a link to your site. 7. After uploading the photo, a ‘see pin’ window will open. Click the ‘see pin’ button asap. The flippin’ window only stays open for a millisecond. It’s like hitting a whack-a-mole with all your might at breakneck speeds. If you blink, you miss it. No worries. Go to your pinterest and find the board that you just pinned your photo to. 9. Under the source URL link to your website or blog. You can do this by copying and pasting your blog post URL right into the source box. Done. It’s best to link to an exact blog post URL that works well with the photo. Alternatively, the link may be a direct link to your home page. Woot woot ! You did it ! Want to double check that you did it correctly? You can see at the bottom of the photo that your site URL is in. If not, click the edit button and make it happen. When the pin is repinned or shared, it is directly linked to your site. Now put on your Pinterest Paper Crown, you whipper snapper of a pinterest-er. That tutorial went pretty swell, wouldn’t you agree? It’s like we just get each other. I hope you come on over to my DESIGN THE LIFE YOU WANT TO LIVE blog where I can seduce you with word lusciousness AND of course, give you a photo app present. You like pressies, right? Your phone called…It said you should really check out my blog and get that smoking hawt pressie. The Best photo Apps in the History of the Universe. Just sayin’. 10 of my Favourite Sites & An Opportunity to Add Yours to the List. 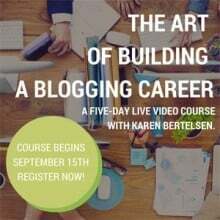 The Art of Building a Blogging Career. Introducing my online Video Course! Oh! that is awesome! Thank you for having guest posters, Karen! Glad you luuuurve it Nancy ! I’ve never seen anyone make Pinterest seductive! This was fun to read! I pinned this post Lynne!!! haha And subscribed to your blog – it looks very interesting. You go girl ! You pinned the post. Woot woot ! Thanks for subscribing to my bloggy too. I can barely search through pinterest…I don’t know how to organize it. I am horrible with bookmarks and all the blogs I read are bookmarked under blogs. I have to scroll through about 100 recipes to find the one I want. My brother recommended Evernote to me, and I am still clueless. I wish for a tutorial for the basics…what you just did seems awesome, but way out of my league. I basically spend a lot of time searching for things I have saved, but don’t understand where they went. Any advice for a really easy, no-brainer site for challenged folks like me ? When you bookmark something, you will see a drop down in your bookmarks that says ADD BOOKMARK FOLDER. Click that and make a new folder with a name. For example, a new folder could be called RECIPES. Then, every time you want to bookmark a recipe, click ADD BOOKMARK , and add the webpage/recipe to the folder called RECIPES. I am totally going to go check ALL my pins and see if I did it wrong! Because I think I DID! No wonder I never saw much traffic out of Pinterest! OMG! Your a GODDESS! Thank you sooooooo much!!! You will be ahhhhmazed at the difference it will make when someone can actually click through on a photo and it will take them directly to the source. It is epic Pinterest magic ! Great to know you are doing it right. Celebrate that one! 🙂 Don’tcha love it when that happens?! The good news is that now you can do more pinning from sites like PicMonkey etc and get your photos directing back to your site (with or without a blog post). Hrrumppp…ok now I know what the heck happens to those pins of mine. Jeesh, its a wonder anything I pin gets noticed. Thanks Lynn for the chuckles and the sage advice. Off to My Pinterest to fix it. It already has. I have several pieces in my Pins of my work that are for sale, so this may totally be a game changer. I linked them to my Etsy Site and the site where they are currently displayed. Thanks again for the GREAT BLOG!!!! I just happy danced all over the living room floor for you ! Brilliant idea to link your work back to your Etsy !! LOVE ! Can’t thank you enough as this is some perfectly timed tute-ing. ; ) I’m just starting a business (not a blog) that will have a web presence and this info is exactly what I needed to be able to use Pinterest for the wonderful free advertising tool it is. Karen, I hope your absence today (after saying you’d be back today) is not due to a snag in the kitchen renovation. Or an injury to your typing finger. Off to say prayers for you and your kitchen. Thanks for the hip hip hooray welcome! I’ve seen the kitchen reno and it’s looking smashingly puuuurty. The brick wall is a stunner too… so I think Karen is right on track. Whew. Good point about the web presence. Pinterest is a faboosh free marketing tool, and it is so über important to become a black belt in it. I hope it drives a ton of traffic for you. Have a gorgy gorgeous day and thanks again for your kind welcome! Really helpful content, but took a long time to get to the meat of the business. When I’m learning about how to blog I like to get to the point I suppose. One of the beautiful things about learning how to blog, is story telling. I guess all of our styles are different, and I share stories with tutorials. That’s how I roll. I think I should have kept my keyboard to myself on this one! If you can’t say anything nice don’t say anything at all and all that? I apologize for not saying just the nice portion which really was this: I was super interested in this topic, hadn’t thought of using pinterest before and was eager to read how to get it done properly. Thanks for posting how to do it. I hope your pinterest rocks out loud now that you know this hot tip. Have a beautiful day, and thanks again for writing back in. Um…any photo you pin is supposed be a part of the blog post you’re linking to. When I click a Pinterest link and the site it takes me to doesn’t contain the actual photo that’s on the pin, I report it as a bad link/spam. The whole point of clicking the pin is to find out more about the pic. There are rare exceptions but generally, pinning a photo without a related post feels like false advertising to me. I would rather have a photo of a beautiful kitchen that links nowhere than a photo that misdirected me to something that has nothing to do with kitchens. Just something to think about. I wouldn’t put a photo in on Pinterest that didn’t directly relate to my blog or blog post. For example, I might share a photo of my kitchen, and then link it back to a blog post that I wrote about my kitchen. I share a lot of images on my blog, but can only fit so many in per blog post. With this method, you can add additional photos to support the post via pinterest. I do share other photos too, ones that are less specific but still make sense … and are an excellent fit with my blog but not necessarily a specific post. Still, they must always be a good fit. Thanks for your input. It’s a GREAT point to mention ! Two things to add to this thread. 1)I found the writer’s style incredibly difficult to read. I would not want to read another post by her on your site again. Painful sentence structure and trying way to hard. Managed to struggle through it which leads to number two. 2) Changing the Source. What is to stop people from taking screenshots, saving the picture to their own computers and then uploading to pinterest crediting their own site? It is happening repeatedly on instagram so why wouldn’t it happen on pinterest? Fair point about those who will take screenshots and steal others work. I would never advocate for that approach. Like ever. Like in life, there is always those who choose to be deviant and use technique/skill in a negative way. My goal in writing is to always focus on the positive aspects of technology and life. I enjoy helping others to grow their online presence in a positive way. Thank you Mary Lou …. Geesh, I might have a girl crush right back atcha 🙂 That is so very sweet of you to say. It is tough being a blogger, putting it out there into cyber-space. Although I know I need to ‘toughen up and roll with the punches’ sometimes… I still don’t do it well. I’m a delicate little rosebud. LOL and my feelings get hurt.. just like anyone else. I’m glad that Karen is a beautiful blogging mentor to me. She wears her heart on her sleeve and I luuurve it. I do believe in constructive criticism from readers, and I do learn from it ~ but negativity is a rather tough thing to get through. Thanks for shining your bright light ! Much appreciated !!! I agree, I really disliked this post for the same reasons that you stated. Are things different on a iPad app or with a business account? When I pin from my camera roll, there is no box for source. I only have a comment box and I see that businesses put there website there. But the comment does not necessarily follow the pin, anyone can change it. How do I add my website as the source? I haven’t tried it from my iPad yet. I will have to give that a whirl. What you could do, is after you pin the photo from your camera roll, go to the board that you pinned to. Click on the photo in the board. Once there, you will see the edit button on the photo. Click on the edit button (it looks like a grey pencil) and the window should open where you add the source link. Hi Lynne, Thanks for answering my comment but still no source box when I edit the board. Help!!!! I have been trying to do the whole thing on my iPad and it seems crazy difficult. Why oh why? I finally succeeded with ‘sort of’ adding the link by uploading the photo from my camera roll in the pinterest app and then clicking directly on the uploaded photo rather than the edit button. The edit button/link tab doesn’t work in the app, to add the link ( Like it SHOULD and does on my computer). After I clicked directly on the photo, I could see the url in the box above. I added my site URL there. Here’s the crazy-cakes part… it shows my pin as Design The Life You Want to Live and not pinterest.com etc (that is good, I suppose… but not perfect) because it just says my pinterest business name and doesn’t truly link back to my site. I’ve been trying to Google it for some answers and concluded that Karen is absolutely right. The internet sometimes lies. Grrrrh. I haven’t found an easy answer yet. Sorry to be so clueless, but is everyone here a blogger? I am not a blogger. I joined pinterest (in support of Karen, if I remember), but i don’t use it. I do use search engines, which do pick up on relevant pinterest posts, and everything else relevant but not on pinterest. As a professional, I am less interested in what has been rehashed, and more interested in what particularly appeals to me. What did I miss? You are on the right track, and no you don’t need to be a blogger. Pinterest is a great search engine tool for images that interest you. For example, if you are looking for ideas & inspiration on kitchens, you can just search the word KITCHEN in Pinterest and all the photos will pop up and be kitchen related. The problem happens when people post a kitchen photo and don’t link it properly to the source. You should be able to click the kitchen photo and it takes you right to the site that the photo came from. This Pinterest tip makes it easy for bloggers to enter the link and therefore less frustration for people when they find photos in Pinterest and they don’t’ link to anything. That was a long explanation to make it all sound so simple. Ha! Sorry about that. As a professional, this is a much more targeted method for you to search a photo via pinterest and find the source of the photo if you wanted to buy it or read more about it. Hi Lynne – I’ve been following your blog for a while now and have a number of your recipes pinned on my Pinterest. I was surprised to see you here but knew in advance that we would all learn something new. I started on Pinterest to have a place to “keep” interesting photos of kitchens/DIY/misc. items and it works well for that. So, I’m curious to find out WHY 600+ people are following me! I can’t figure out why anyone else would be interested in what I’m pinning! Any ideas? You must be posting interesting photos for 600 people to be following you. Keep up with doing the great work. That is flattering ! None of the pictures in this post show up for me. Which, considering the topic, is a little disappointing and a lot funny. I’ve never had this problem on Karen’s site before. That is crazy weird Amy. I can see them all. That’s a nutty mystery. I have no idea why they are not showing up. Maybe it was a quick temporary glitch. As a fellow blogger, I just wanted to shout out a big hello and say THANKS for always showing the love in the blog-0-sphere to other bloggers. Amazing, brilliant… one suggestion though, this post should have had a public service announcement, a warning if you will. This post may cause multiples! Multiple hot flashes! 😉 Super exciting and so simple, thanks so much for sharing your wisdom! There was a Canadian television commercial years ago, where a woman stepped outside in a snow bank, and flipped the cover off of her air conditioner and then stepped back in the house. I laughed and laughed and laughed. Now, I’m considering flipping the lid off of my air conditioner in the middle of our snowstorm. I’m not really a blogger, except for a private family blog, but if I were, I’d absolutely be all over Pinterest right now, posting pictures from my blog and making sure they linked to it. What a treasure of information for the actual or potential blogger! Thank you! So well said Susan ! You have a family blog? Very cool ! I started with a family blog originally too. So fun ! This is an excellent post. Thanks for some great information! You are most welcome, and THANK YOU for saying so. I’m so very thankful and grateful for your positive feedback ! Holy Pinterest, Bat Girl! This is great. I am a beginner blogger and haven’t been that active with Pineterest. We should probably have a support group, something like BB. I’ve followed your blog for a little while and I tip my hat to you. The community has been very helpful, like Cheryl Kees Clenendon, who called my attention to this little gem. Thanks, Cheryl & Lynne for sharing so generously! A fun and informative read, nice dismount. High Olympic score. Thanks for the Olympic score ! 🙂 You just made my day. Support group : You know, having Facebook groups, and the community support there has been so FAB. It is so incredible how much we all learn from each other just by sharing our ‘best tips’ around. I hope to share many more of these tips in the new year and THANK YOU for your epic, kind words !! I think I love you 🙂 ha! I think I love you! Well, I know I love your generosity and sense of humour! Thanks. You are one funny lady! But unfortunately now I have to go check all my pins. Flipping brilliant! I miss Karen too Caryl. She is one fun, great gal. Having a break from anything we do in life, is always a good thing though. A few days to just breathe it all in and love it all out. I feel honoured to be able to help her do that. I figured out to pin from my iphone by googling “how to pin on your iphone”, you copy the photo to your your own photos and then follow the directions that I don’t remember now. But if I can do it, anyone can. I am addicted to Pinterest and I don’t have a blog, a business, any pets and my kids are all grown up. Cool idea ! I hope that the Pinterest app does an update soon to make that step a lot easier. The whole concept of pinning photos and streamlining it so the source link is already properly put in, would be a great thing. Pinterest is so FAB isn’t it? LOVE LOVE LOVE LOVE. This post may have been informative if I could have had the patience to get past the silly talk. Come back Karen. All is forgiven. I’m sorry that you didn’t enjoy the post or my writing style. There is a lot to learn as a blogger and how to navigate around Pinterest. A dry tutorial can be just DRY. My goal was to help others have some fun and a few laughs in learning a new skill. I really don’t see the purpose in saying hurtful words to others. I have always thought of Karen’s site as a place with positive mojo. I’d like to keep it that way. One of the ways this can be useful is if you want to put words on one of your photos for pinterest but don’t necessarily want the words when the photo is on your blog post or you can use it to post a long collage style photo in pinterest which can be really awkward on your blog. So well said Dana ! You can post a photo of the apple pie and write the recipe on your blog post, but you wouldn’t want that text on the blog post photo. Add the text to the photo and post it to Pinterest. It is a great method to drive traffic and click throughs to your site when the photo has a great explanation over top of it. Bravo for that hot tip Dana! Lynne is a nutball. Off her rocker. She must have a screw loose. Kook. Crazy. BUT BRILLIANT. How can you not love her zany writing style? I love it and her too. And her advice here is fabulous. I’m going to go French kiss her now… well, virtually… I’m in the States and she is in Canada… but if you looked outside my window you would certainly think I’m in Canuck Land! I’m snowed in… perfect for Pinning!! Thanks for the love, my friend! I think. Ha ! Thank you! That’s absolutely fabulous. Thanks for this post. I have finally started using pinterest for my business, and am still trying to figure out how to use it to my benefit. This one seems like such a no-brainer that I am sort of kicking myself, but I do want to get better clarification. I’m assuming you are talking about linking directly back to yourself only when the work/project is yours or it is a photo that you have directly taken. Everyone can source a picture of something fantastic to show off, but I would hope that we are all properly crediting each other. I am really careful about trying to find the original source and crediting them, and I hope people would give me the same respect. Is there a way to do both? I have to admit, my feathers get a little ruffly when I think of someone posting photos of my work and linking it back to their blog. In a world of everyone poaching each others ideas, I think that it is an important thing to discuss. Yes, I should have clarified that in the post. One million percent only do this for your own original photos. The times that I use this pinterest tip, is when I do a blog post and often times have too many of my own original photos. As a blogger, or online entrepreneur, we can only fit soooo many photos into a blog post. Therefore, I add the extras via pinterest and link them back to the blog post. You are right, it is fair to get your feathers ruffly if someone credited themselves for your photos. Eeeek. That would be all wrong. Yikes. Another good time to do this tip is when you want to add text over a photo. 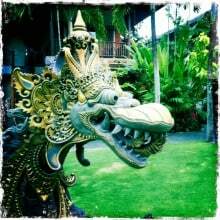 For example, you could take a photo, upload it into PicMonkey and then add text like ” click here to read more about xyz “. Photos with text on them are very pinterest friendly and help ‘explain’ a blog post. You wouldn’t want that exact photo in a blog post… but it would make sense in pinterest to direct readers back to a blog post, or etsy store etc. Whew. I hope I didn’t make that MORE confusing. Ha! Enjoy and best of luck ! wedding and should be in perfect harmony with your gown. stunning ornamental pieces.At http://www.etsy.com/shop/BetiDesign you can purchase a one of a kind birdcage veil. Yes!!! I do want to kiss you!!! Mmmwah!!! focus, which i am going to convey in institution of higher education. problem on my end? I’ll check back later and see iff the problem still exists. so freakin’ cool. I did it. it really is epic. I hope to thank you in person at BlogPodium! Wow, BlogPodium just whizzed by yesterday !! Did you LOVE it?! unless it is something to do with Girl gaga! 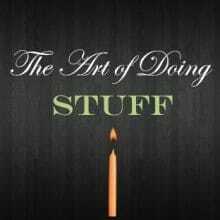 The Art of Doing Stuff < Loved it!